Perrin and I were able to sit down recently and interview Rand Fishkin of Moz.com! If you have been in the SEO world for any period of time, you are likely well aware of Rand and the company he founded, Moz. He is one of the most well-known and well respected entrepreneurs in the SEO space. Perrin and I really relished our opportunity to pick Rand's brain for an hour on SEO, marketing, and his story. Unfortunately, we were not quite as excited when we realized after the interview that most of the recording did not work properly! For some reason, my recording only got the first 10 seconds and then the last 17 minutes of the interview, and Perrin's backup recording didn't work at all. However, after Perrin and I dried our tears, we got back behind the microphone and recapped what Rand had discussed in the original interview. We know its not ideal, but we feel like there still is plenty of great content AND we do have the last 17 minutes of the original interview for you to listen to. So what you will find below is the written summary of what was discussed, and the audio recording between Perrin and I along with the final 17 minutes of Rand's interview. We wish we could have a mulligan on this one, and perhaps someday we will have Rand back on for a full recording; however, we still feel like there is enough value here to post. What was Rand doing before he started Moz.com? Rand started working for his mother in her marketing firm right out of high school. At first he was helping build out websites for clients, and then eventually started getting involved in the overall marketing and SEO for companies. He also dropped out of college and ended up staring SEOmoz (now Moz) as an SEO consulting company. Did the Success of the software side of their business surprise them? Absolutely. Rand expressed that they initially got into providing software and tools simply because they had already created the tools internally for their own use. Then they released those internal tools publicly and that side of their business really took off; much faster than expected. As a result, they started to focus more on providing software solutions, and moved away from SEO consulting. Is the Software business easier than the consulting business? Rand surprised us, and said that the software business is more difficult. Part of the difficultly in SEO software lies in the fact that SEO and marketing are changing so quickly, that it can be difficult to keep the software relevant and updated. Do you believe that negative SEO is happening? Rand recently posted an article calling for a public example of negative SEO. So, he has found a couple of volunteers that are willing to donate their sites to the experiment; however, the experiments have not officially started yet. They are currently working through some paperwork issues, and trying to find spammers that will actually spam the sites. Rand does believe negative SEO could be happening, but he's not overly convinced at how effective negative SEO is with Google these days. That's why he wants an irrefutable example that can be studied. Recently posted on Moz.com was a guest post from Sky Rocket SEO detailing the top link building strategies being used in 2014. We asked Rand his thoughts specifically about paid links and blog networks (2 of the link building strategies mentioned). Rand is not a fan of paid link or blog networks. However, some people still use them because they might work in some cases; but are often short lived and are risky. When we asked Rand about private blog networks, he was not supportive of them at all. He felt like the people loudest about blog networks are usually also the people selling those links. And he felt like he hasn't seen a ton of evidence that these types of links are working very well. He also said that PBNs are just a ton of work, so why not put the effort into building more white hat/outreach type links. Rand feels like the best link building strategies involve outreach and networking. Provide great quality content on your site that is sharable, and then email and network with influencers, and that's the best way to generate links. How to Effectively Outreach to Others for Links? By emailing webmasters directly with your valuable content, you can lots get great links. Rand gets lots of emails and the ones that get a response from him or link are the one that have clearly followed and know him. These are personal emails that reference something that he's written or something that clearly Rand is interested in. Rand even reaches out to others to network, these are obviously very personal emails after he has done a lot of research on the person. How Important is On-Page SEO and Site Architecture? Some portions of on-page SEO are still very important. But old-school on-page SEO like overusing keywords, bolding a certain number of keywords, and other tactics are no longer important. User intent is now extremely important; Google understands what users are looking for now more than ever. Are Silo Structures Important for Large Websites? Rand has never seen the effectiveness of vertical silos and linking structures. He has never seen this be proven or to be effective for any of the large sites that get millions of visitors and pages that he has consulted on. The vertical siloing that may be talked about on the “deep dark” web of SEO forums is just not true. There are not alot of secrets out there, and there is no secret of vertical siloing. What IS effective is an architecture that gets real people where they want to go on your site with the greatest of ease. So, you can basically ignore any type of siloing and simply worry about the navigation and usability of the site. This is going to give you the real benefit. Rand feels like SEO will be roughly the same in 5 years as it is today. In fact, SEO (keyword, crawling, links, and useability) are still roughly the same as they have been since 10 years ago. How long will links be important? Yes, links will continue to be important for a long time. We'd have to see some very fundamental shifts for how the web works before we see the importance of links change. Rand feels like links will definitely have a long life span ahead of it. 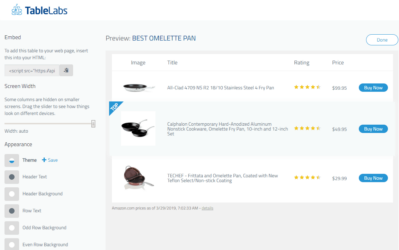 If Building a Large Website from Scratch; What are the Most Important Things to Keep in Mind? Build a brand that people in your niche inherently feel are attractive, valuable, and unique. Lots of affiliates are shooting themselves in the foot by building a generic and non-differentiated websites. Also, spend a considerable amount of time with the people that you are trying to help. Rand is running lots of SEO experiments with a group he's involved with to learn more about how Google works. Here's some of the experiments: bit.ly/mozmadscience. This is a slide deck that shares several experiments that Moz is conducting and the results. If you want to get involved in these experiments, they are looking for help. If you want to skip ahead, the audio of Rand begins at just after the 25 minute mark. But I hope you'll listen to the first portion as well, as I think you'll find some value in the discussion between Perrin and I. What Happened to My Authority Site? Hey Spencer,thanks for interviewing this awesome guy, am downloading the podcast already,cant wait to hear it!! Interesting that he is not a fan of PBN’s or paid links. 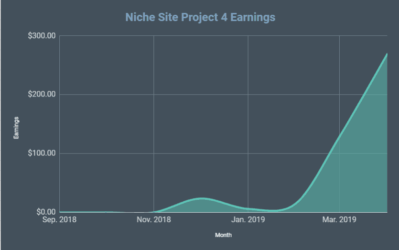 From my perspective as a part timer, it is very difficult and expensive to do the type of networking that is required to garner big links…..maybe I am wrong, but I have never had any luck on my niche sites with this…only on my IM blog. I do agree with the idea of developing a brand not just a generic EMD. My next project is in a segment that I am passionate about and will build a brand around…..
My first niche site is coming on my six month anniversary and no matter what I do I am stuck in the 30-60 range on the competitive keywords…….I figure I will power through this 6th month with more content and see where I land! It’s probably because Rand’s background is in consultancy and not necessarily niche sites. He’s used to SEOing massive, massive websites for very large companies. And, of course, the tactics are going to be very different. However, I/we have been having some good success with a few of the white-hat techniques me mentions, and they often aren’t as resource intensive as you think. For example, if you create a fantastic piece of content, you can just pay a researcher on oDesk $50 to find 200 highly relevant blogs + contact info for you, add them to a mailing list, and let them know about it. Niel Patel has lots of great info about that kind of stuff (and, come to think of it, we should start writing more about that as well). Hello, I am afraid to say that negative SEO is very real. The very fact that a website can get a spam action means that an external spammer can create that on any site they wish. If the website is extreme established like Moz.com, then it will be more difficult to do, but still possible. Sadly it is only a matter of time before the SEO industry moves this way. The only question is whether it is ethical and legal. Google have created this problem and there is no easy fix. Does anyone have experience with PBN’s? I am working on buying and setting up my own PBN’s and now wonder how effective it will be. David to answer you question yes PBN’s work extremely well for niche sites. This is coming from experience, I have a network of about 40 domains right now. Great information. Thanks spencer n perrin. However am still not agreeing with Rand on the issue of PBN. I think PBN is good for the beginner looking to make small income like 100 to 1000 dollars within 6months period. If you are to only target on branding n all 100% whitehat, it will be profitable but dont expert 6months. Target 3years and large site with long term effect. Sorry not for me cos i need to pay the bills fast. This is one of the most important points, I think. We’ve talked to many people who’ve had tons of success with white hat techniques. HOWEVER, it takes a lot longer (think 12-18 months). PBNs can get the ball rolling if you’re willing to add in the moderate risk they carry (I usually am for my sites). Why? Because I didn’t treat them like competitors. I treated them like friends, linked to them first, and in the end, everyone becomes more profitable. Most business owners will usually see it this way. I think that Rand is commenting on SEO as a matter of building an authority site and not a niche site. If you want to really build a brand using PBN’s may help initially but trying to keep the links coming with a PBN is probably not going to be effective. My opinion is PBN is gaming Google and won’t work long. 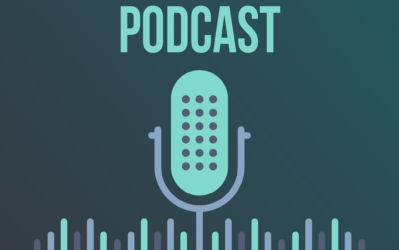 Great Podcast,i am going to try to build my PBN.I think that is the missing key for my success.thank you very much! Not a good move Spencer. Now as a Long Tail Platinum user and Hayden PTC member. I was simply surprised when someone PM me that their is a podcast interview on nichepursuits.com with Rand, The MOZ guy !!! Congratulations on getting this interview! 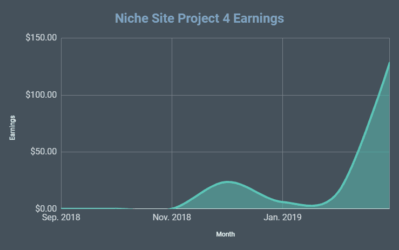 I agree that a lot of the long term SEO techniques Rand talks about are great for authority sites and larger websites where you are actually active in the niche, but for trying to rank smaller niche sites to make some extra cash easily, PBN links work great and are much faster than building relationships in your niche. If I have 20 niche websites, you better believe that I don’t have the time or interest in becoming a part of the community and building relationships in that niche. Myself, I’m trying to build out 1 or 2 larger authority sites that are long term, long lasting websites, and also a bunch of smaller niche websites that might last only a few years, but bring in some decent cash in the short term. It comes down to this, you can’t use the exact same methods for every type of website. It really depends on what you are trying to accomplish with any particular site. Very well said. Long term sites vs short term sites will benefit from different SEO strategies. This! Its very important to notice the difference between types of sites. Having built both niche amd now an authority site, the approach is different. Understand that it takes time to get to know what the strategy shoild be. We can’t cpmbine all methods fo all sites, that’s a waste. If you want a business site, respect the industry its in and the journey it takes to make it. However small adsense sites are quick and pbns may work. There’s no one-way solution, however the foundations remain the same. Good info, ui, page speed and links. 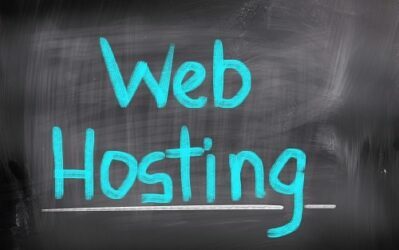 it usually will take somebody about three to five sites or a year or so to figure out exactly what a site needs. this also depends on the learning curve and how much people willing to invest. so based on what Rand says about PBN, does that mean a site like apennyshaved will not last in his opinion? i am not agree with rand that SEO is not changing and it will be same for next 5 year also… Google is changing and 500+ algo changes last year in 2013.
what do you think spencer and whats your thought? 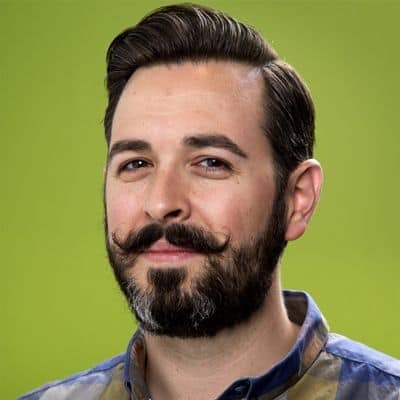 Moz is a great inbound resource, and the fact that Rand Fishkin is a huge supporter of white-hat SEO has always been of huge interest for me. Its a shame that the recording didn’t work well. Do you guys have any plans to ensure that such an issue does not happen again? I will be keen to know as I am to work on a recording-based course with a client. We always do 2 recordings: primary and backup. Not sure how to prevent any better than that. I’ve been hit by negative SEO in the past but did not recover as I did not disavow any of the hundreds of thousands of links. Great tip by Rand on link building strategies. These days we can’t rely on just using PBN’s. My white hat blog went from zero to almost $700 in 4 full months, and I’m expecting to break 1k by the end of this month. However, it’s been a tiring process, as I’ve been blogging on a daily basis for months now. I’m currently working on a second site (the one in my signature) and am experimenting with it to see if I can apply what I’ve learned from blog 1 to it. I don’t have the attention span for short term sites, as strange as that might sound. I’m still up in the air on blog networks, I’ve tried them and they do work, but I’m not so sure about for how long. If you’ve noticed once a good keyword gets a niche site to page 1, there are several other sites that follow, all mostly using the private blog or linking from high quality domains. The key is where are these sites in 6 months or 1 year from now? I think the Google push toward larger quality sites and rewarding older sites is something that will be the future. Are Silo Structures works better for niche site?